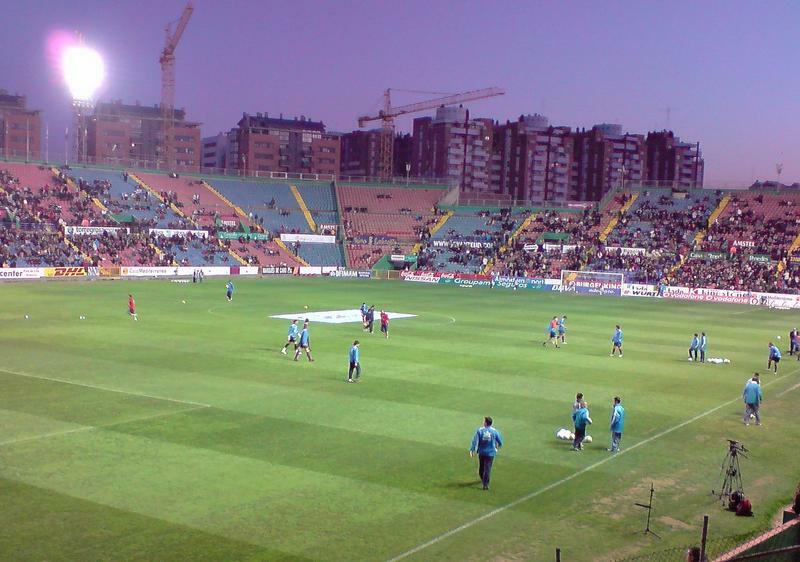 Estadi Ciutat de València was built as a replacement for Levante’s old Estadio de Vallejo. First plans were made in the late 1950s, but it took over ten years for plans to get approved and construction to start. 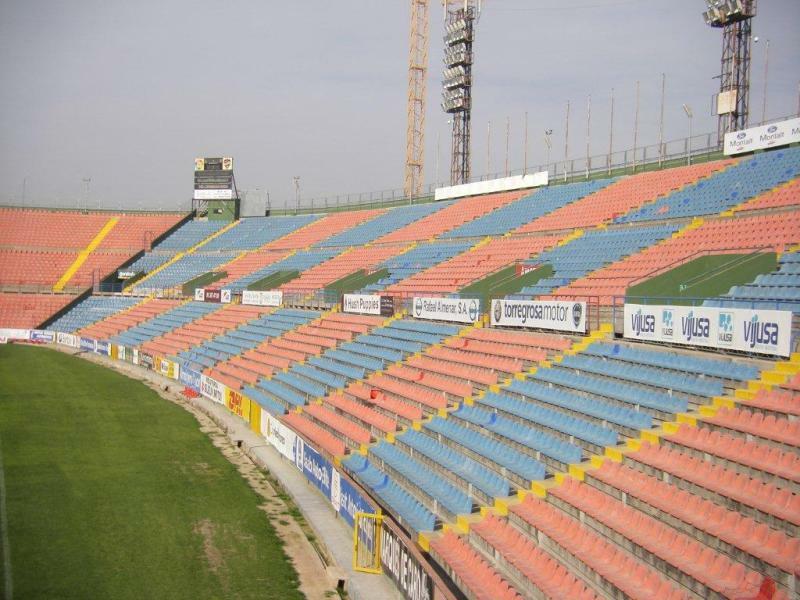 Estadi Ciutat de Valencia officially opened on 9 September 1969 with a friendly between Levante and Valencia, won by the visitors. 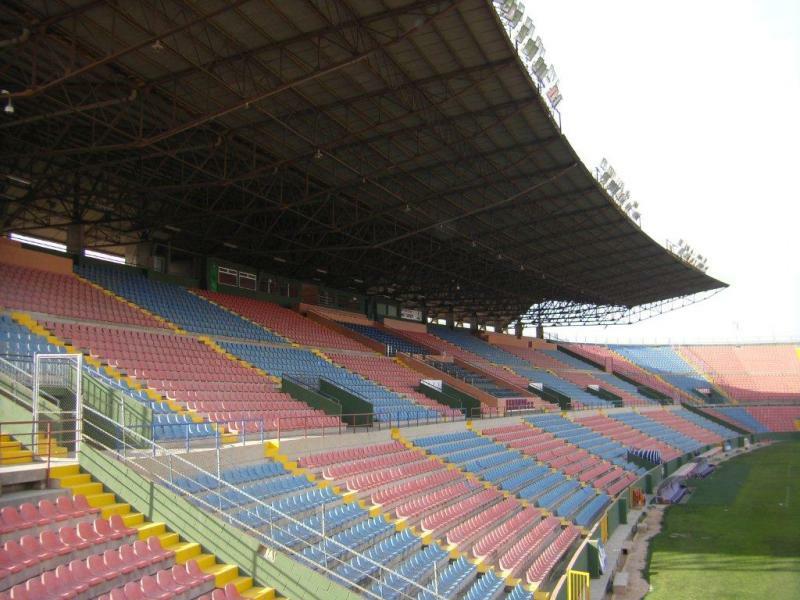 The stadium was originally called Estadio Antonio Román, in honour of the club President at that time, and counted with a capacity of 30,000. 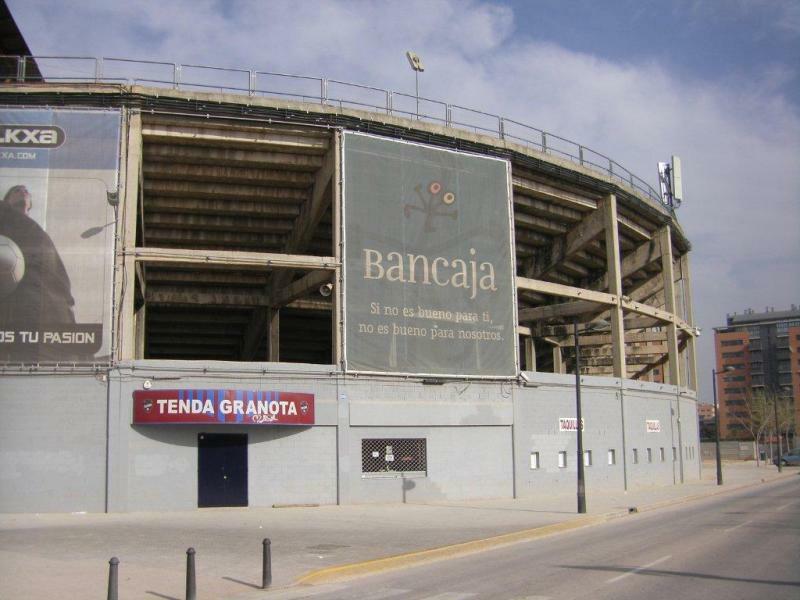 In the next years the stadium first changed names to Nou Estadi, and later to its current name in order to reinforce the bond of the club with the city. Few changes have been made to the stadium since its inauguration, though capacity has slightly declined due to safety measures. 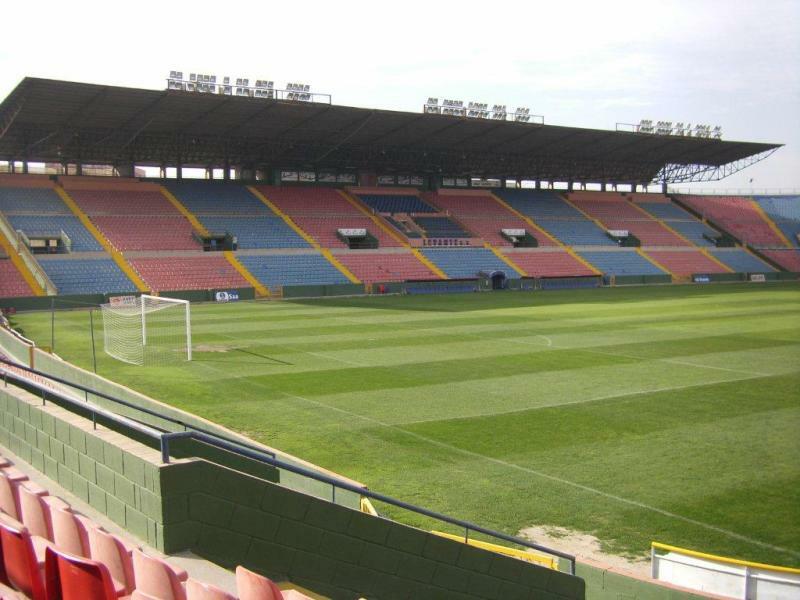 Estadi Ciutat de Valencia is located toward the north-east of the city of Valencia at about 2.5 kilometres from the historic city centre and one kilometre more from the main railway station. 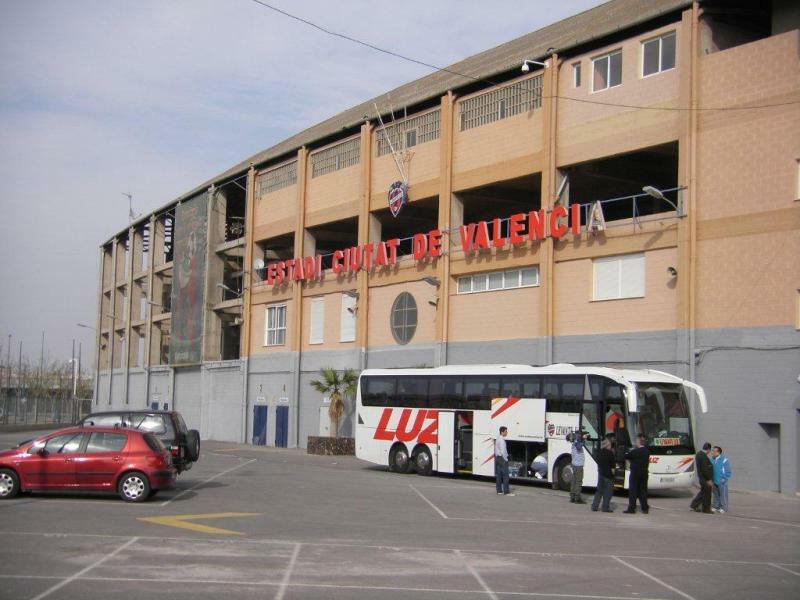 The walk from Valencia’s cathedral to the stadium will take about 30 minutes. Alternatively, there are various ways to get to the stadium by public transport. From the railway station you can take metro line 3 (red) to get to the stadium. Take the metro from, for example, stop Xativa, Colon, or Alameda in the direction of Rafelbunyol, and get off at stop Machado. The ride won’t take more than 10 minutes, and it is a further 5-minute walk from the metro to the stadium. An alternative is bus 70. Take the bus at Pl. de Ajuntament, Palau de Justicia, or from the former Turia riverbed, and get off at stop Alfahuir – Cercle de Belles Arts. Buses go at least every 20 minutes. Bus 11 can be taken from the same points. Get off at stop Santiago Rusinol. Tram 6 stops right in front of the stadium (stop Estadi del Llevant), but only connects with destinations in the eastern part of the city and around the Mediterranean coast. If arriving by car from the Autovia V-21/E15 (north-east), take the Ronda Nord (northern ring road) at entering the city. Follow until you see the stadium on the left side of the road. If entering the city from southern or western direction, follow the signs for Ronda Nord, and follow the Ronda Nord until you see the stadium on your right. 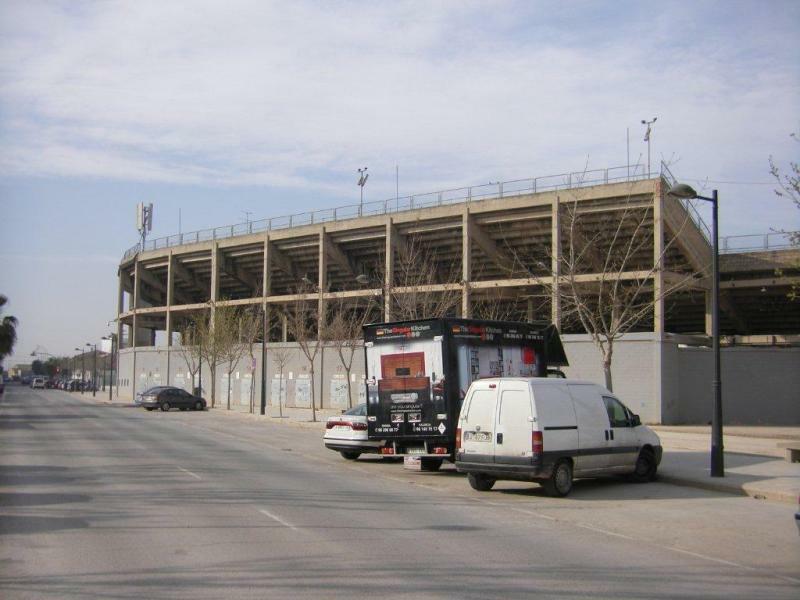 Estadi Ciutat de Valencia is located on the edge of the city in a residential area. There are few bars or restaurants around, and eating and drinking can therefore better be done in Valencia’s historic centre or further away at the beaches. 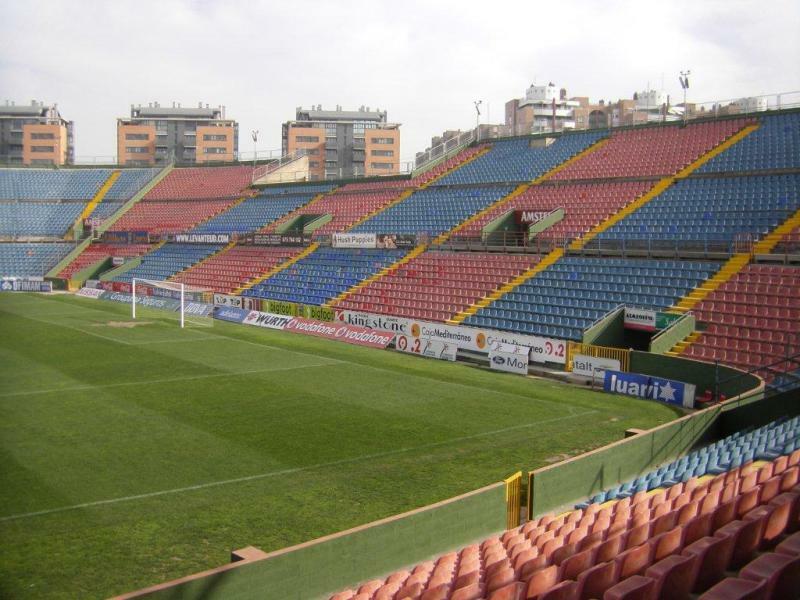 If you wish to stay as close as possible to the stadium, then Hotel Olympia Valencia is a good option. It gets good reviews, is decently priced, and at 10 minutes walking from the stadium. Hotel Olympia Universiades is another decent option a little further away, but closer to the centre. If you spend more than a few hours in Valencia though, a hotel in central Valencia will likely be more convenient. Click here to see the options. 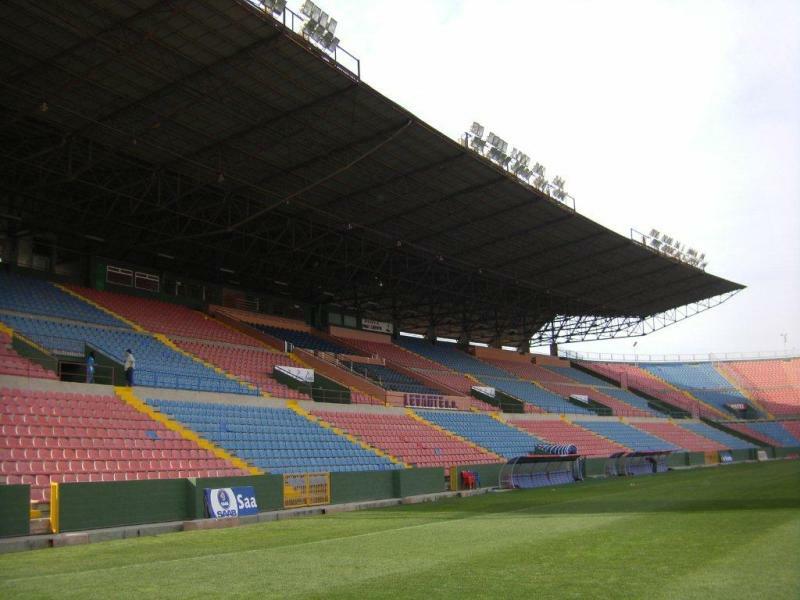 Tickets for Levante matches can be bought online, or at the ticket windows of the stadium. Tickets can also be bought on the gate on the day of the match. 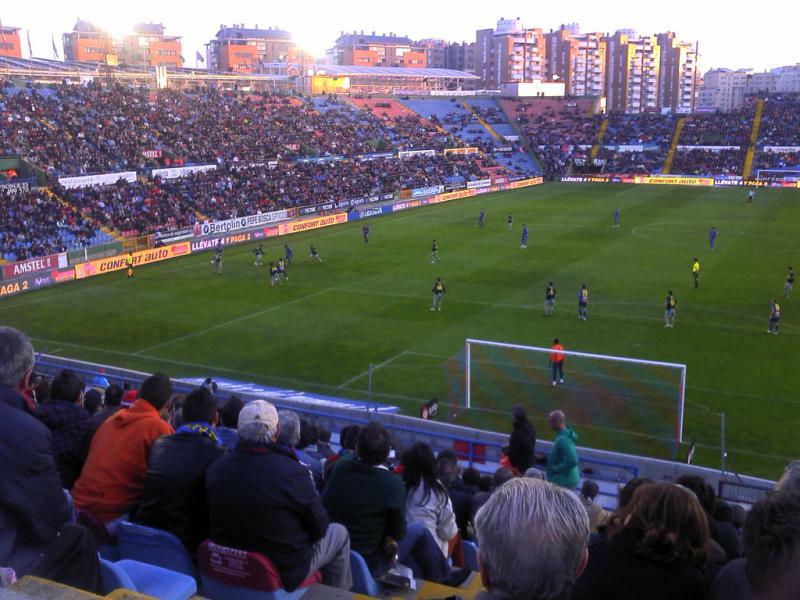 Levante rarely sell out. 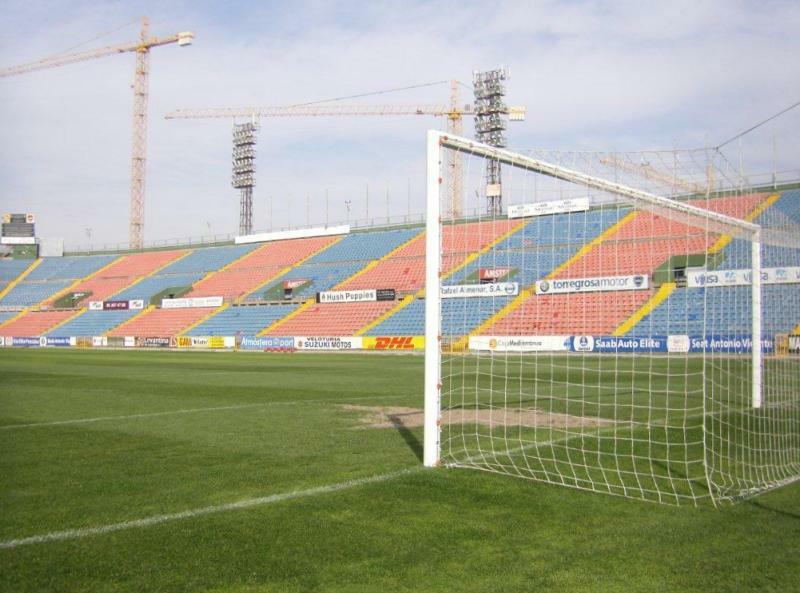 Ticket prices depend on the opposition, with tickets for matches against lower-level opponents going from €15.00 for a seat behind the goal to €35.00 for a covered seat at the main stand. Expect to pay much more for the top matches. You can find a seating map here. Email ticketing@levanteud.es for more information. 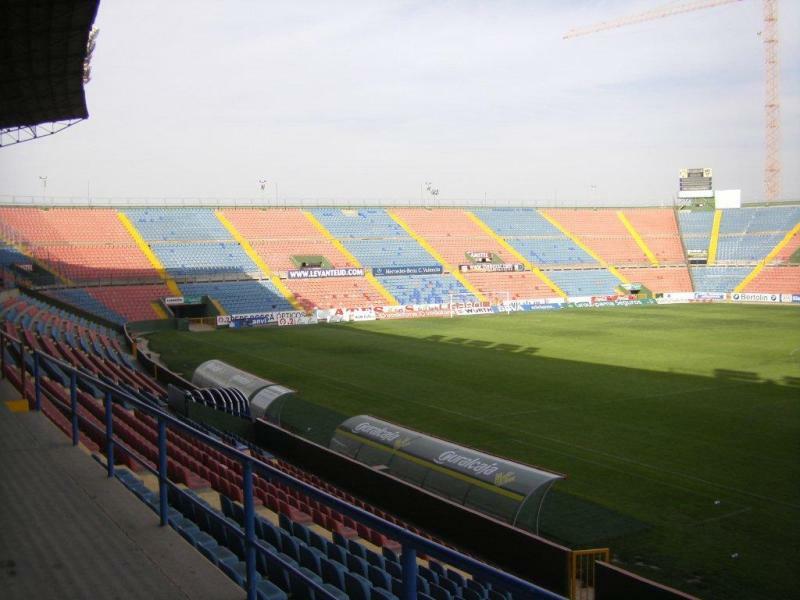 Levanteud.com – Official website of Levante UD. Turisvalencia.com – Official tourism website for Valencia. Metrovalencia.es – Travel information on the Valencia metro. Emtvalencia.com – Valencia public transport information and journey planner. The stadium is a five – ten walk from Machado metro station and doesn’t appear to be sign posted so try to follow any fans you see. Our route took us through a strange, open sided shopping centre and it’s only when you leave the mall that you really begin to see fans and the stadium itself. If you want a drink, there is a supermarket in the basement of the mall and we found a decent bar / restaurant for a beer. The stadium itself is a pretty basic. largely uncovered bowl with a small group of ultras in the corner to the right of the covered stand, as you look at it from the pitch. Only alcohol free beer in the stadium and very little in terms of catering – I don’t recommend the hot dogs. We are English and we visited the stadium for the first time today to buy 2 season tickets. The lady in the Office, her birthday was 6 May, was just so friendly and helpful we could not stop smiling. I asked her where our seats were and she took us through to the VIP lounge and showed us the Stadium and the pitch. Thank you for making us feel so welcome. 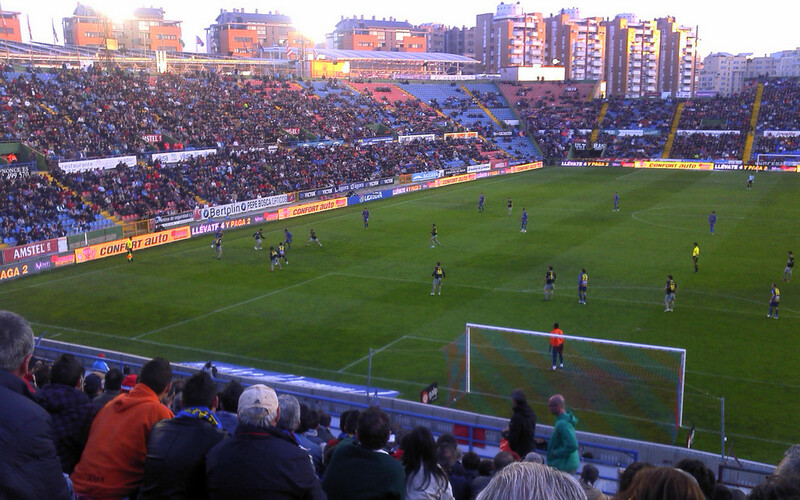 We are glad we are now Levante supporters.